In April 2005 I first travelled to the town of Visoko, 20 miles northwest from Sarajevo, the capital of Bosnia-Herzegovina. My attention was caught by two regularly shaped hills, which I later named the Bosnian Pyramids of the Sun and Moon. For thousands of years locals have considered those hills to be natural phenomena because they were covered by soil and vegetation. However, when I first saw their triangular faces, obvious corners and orientation toward the cardinal points, I knew that they had to be constructed by a force other than nature. Since I had been investigating pyramids for decades I knew that the pyramids found in China, Mexico, Guatemala and El Salvador had the same type of soil and vegetation coverage. In 2005, work was begun on this project and construction companies and geologists were paid (out of my pocket) to do core drilling and geo-morphological analysis. We then announced to the world, at the press conference, that the first pyramids in Europe had been discovered. 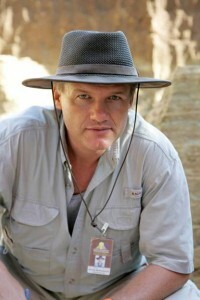 Shortly thereafter, we established the non-profit Archaeological Park: Bosnian Pyramid of the Sun Foundation and since that time the pyramid investigations in Bosnia have become the world’s largest inter-disciplinary archaeological project. We have spent over 340,000 man-hours in archaeological excavation, sample testing and radiocarbon dating in the period from 2005 to 2011. We determined that the Bosnian Valley of the Pyramids consists of five pyramids discovered to date which I named: The Bosnian Pyramids of the Sun, Moon, Dragon, Mother Earth and Love. The site also includes a tumulus complex and a huge underground labyrinth. The site includes the largest pyramid structure in the world—the Bosnian Pyramid of the Sun with its height of over 220 meters is much higher than the Great Pyramid of Egypt (147 meters). 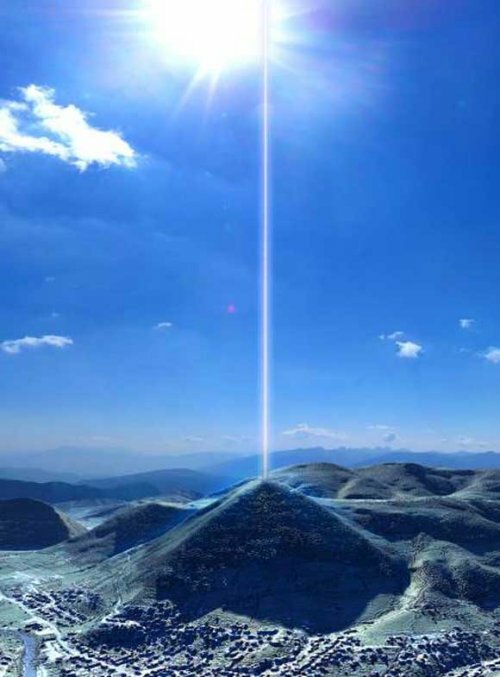 The Bosnian Pyramid of the Sun has, according to the Bosnian Institute for Geodesy, the most precise orientation towards cosmic north with the error of 0 degrees, 0 minutes and 12 seconds. The pyramids are covered by soil which is, according to the State Institute for Agro-pedology, approx. 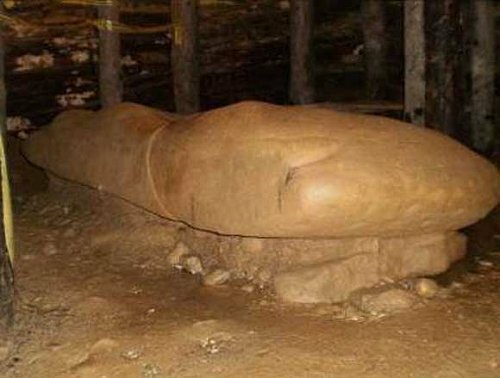 12,000 years old. Radiocarbon dating from the paved terrace on Bosnian Pyramid of the Moon, performed by Institute of Physics of Silesian Institute of Technology from Gliwice (Poland) confirmed that terrace was built 10,350 years ago (+/- 50 years). 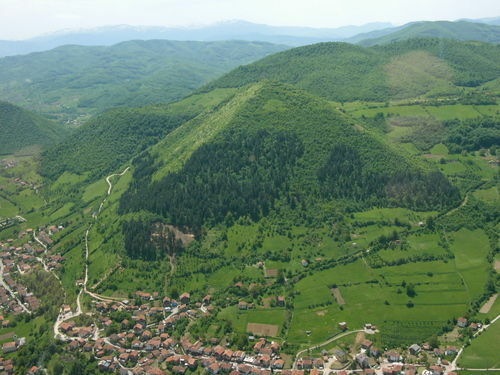 These finding confirm that the Bosnian pyramids are also the oldest known pyramids on the planet. Beneath the Bosnian Valley of the Pyramids there is an extensive underground tunnel and chamber network which runs for a total of more than ten miles. The list of the wonders in Bosnian archaeology does not end here. In the vicinity, we discovered the tallest tumulus in the world: 61 meter high. Its nearest competitor, Sillbury Hill in England is 60 meters high. The Bosnian tumulus consists of two-layer megalithic terraces, clay layers and artificial concrete layers. I think this is really exciting. Looking at the photo I cannot understand why nobody has suspected that it is a pyramid before. Wouldn’t it be wonderful if…. instead of sitting around in air-conditioned luxury in Durban at COP17 the world’s leaders actually learnt something from the research into ancient philosophy and technology, and applied those healing techniques to our planet ….. but ….. too much money, power, ego and obstinacy are invested in fossil fuels and nuclear technology. What will it take? Regrettably only something globally catastrophic will sound the wake-up call. Maybe too late – hope not!